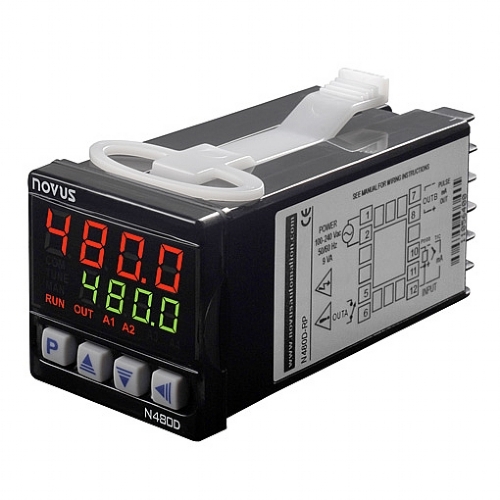 The N480D series of PID temperature controllers was designed for non-experienced novice users for combining extreme simplicity in operation with high performance only found in expensive high end controllers. It is a low-cost instrument which can be easily installed and operated. It accepts most thermocoules and Pt100 RTD, features a relay and pulse output for driving solid state relays and optionally can be supplied with a linear 4 to 20 mA output. Autotunig PID function, dual display, full range universal power supply and ramps soak function are standard.